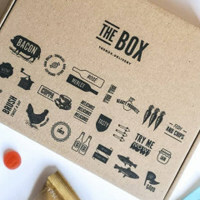 The Box company is giving away 1000 free boxes filled with crisps and sweets so make sure to get yours before they run out. Follow our link and the order your free box by filling up the form. Click on “GET IT HERE” button and then follow instructions given above to get this freebie.